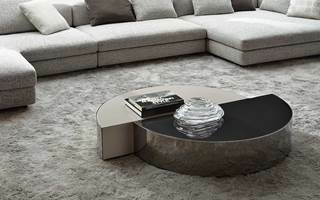 The Shields table is marked by a strong sculptural imprint which recalls examples of contemporary sculpture of the Seventies. 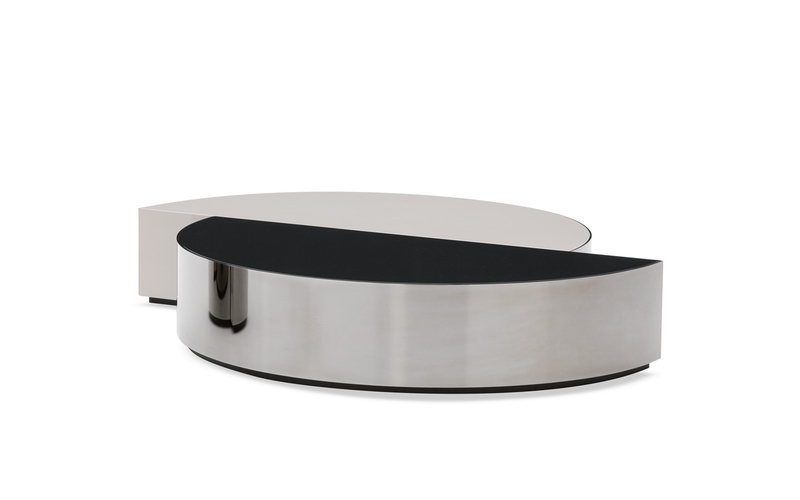 Designed as a geometric volume, in the shape of a cylinder divided into two offset parts, it is complemented by a shield in curved steel sheet with Black-Nickel finish. 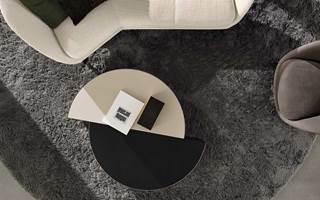 An interplay of black and white characterizes the two offset semi-circles, both on the top and on the internal vertical section, thanks to the contrasting shades between the Pewter glossy-lacquer and Sand. Available in two heights and with different proportions, Shields belongs to that family of artistic furnishing accessories that give more character and personality to any living room. With its metallic reflections it animates the elements with which it enters into dialogue.